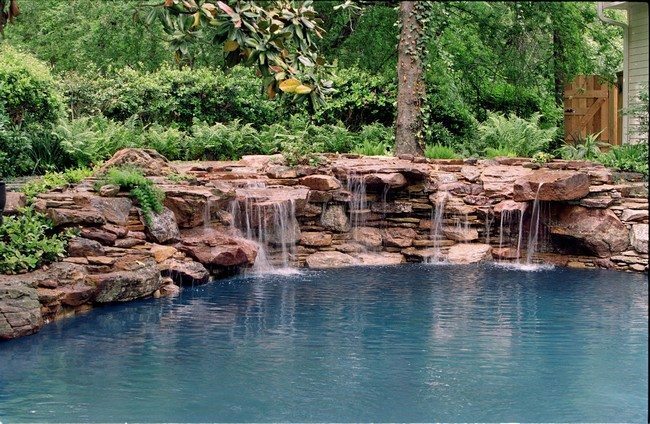 The blue color of this pool waterfall and its majestic height make it visually appealing and therefore stands out as the centerpiece in this yard. 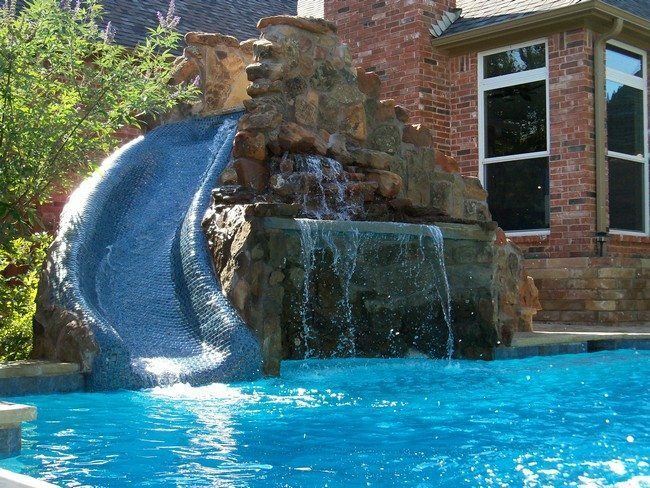 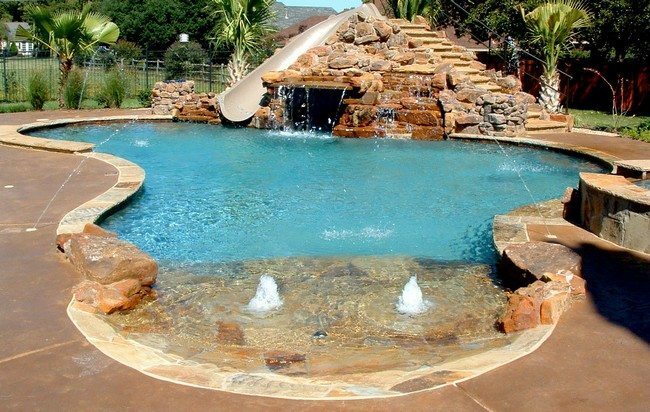 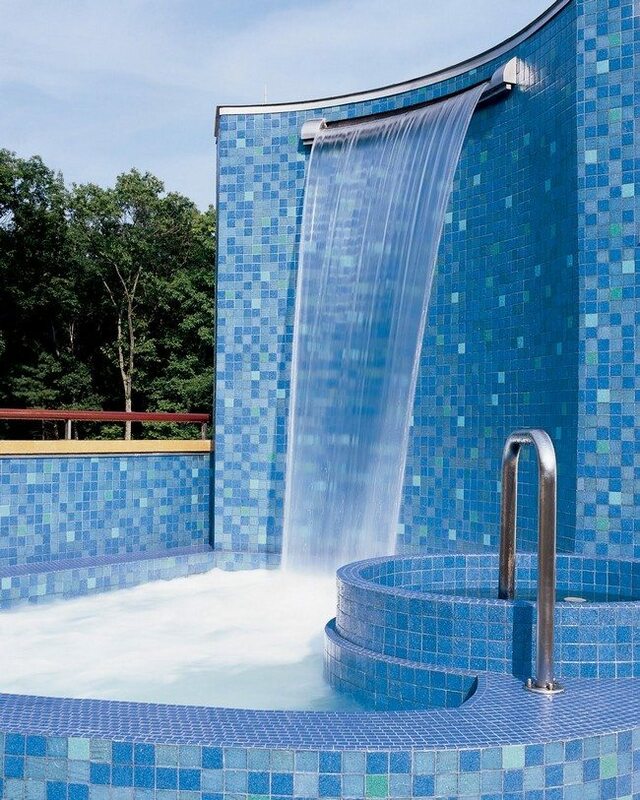 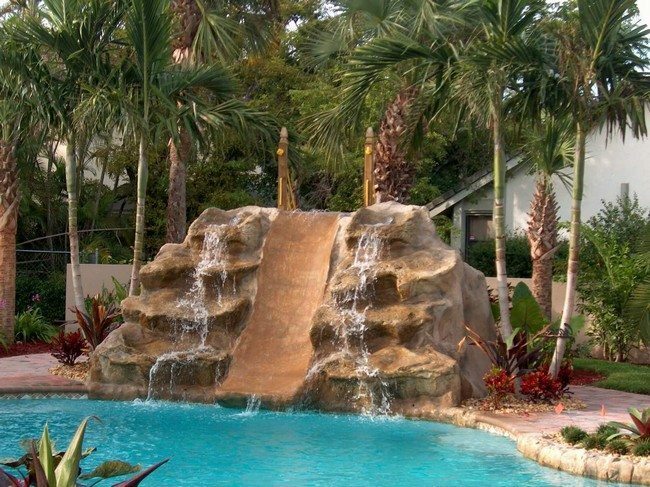 Combining your pool waterfall with a waterslide is a fun idea too, especially if you have kids who enjoy playing in the water! 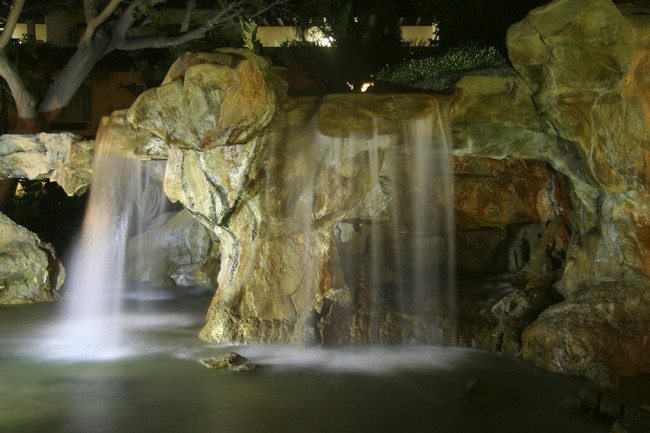 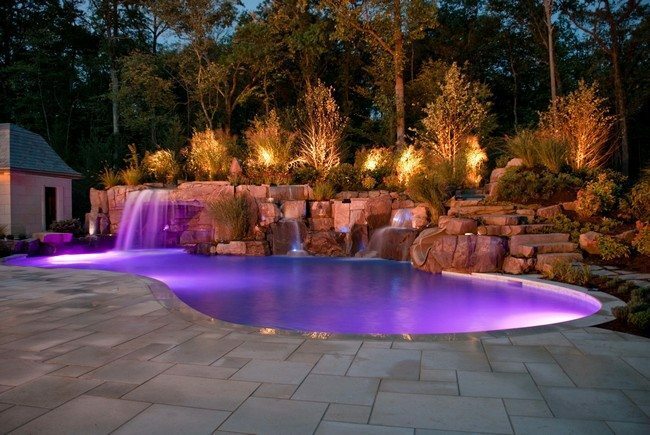 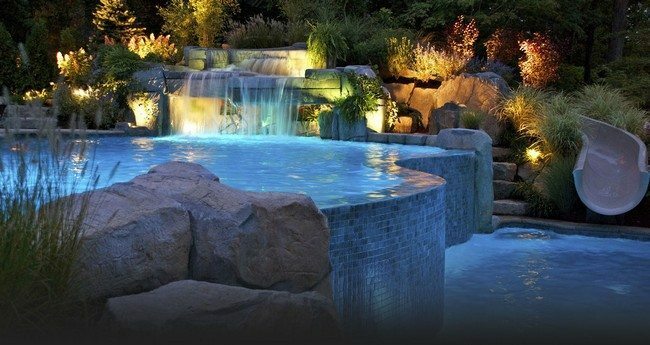 Let your pool waterfall stand out even more, especially at night by adding lighting features like in the pool waterfall above. 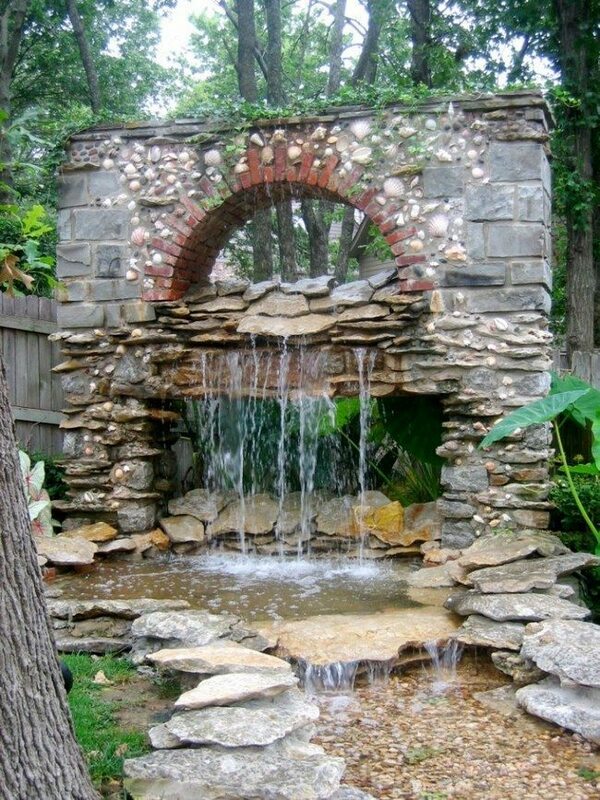 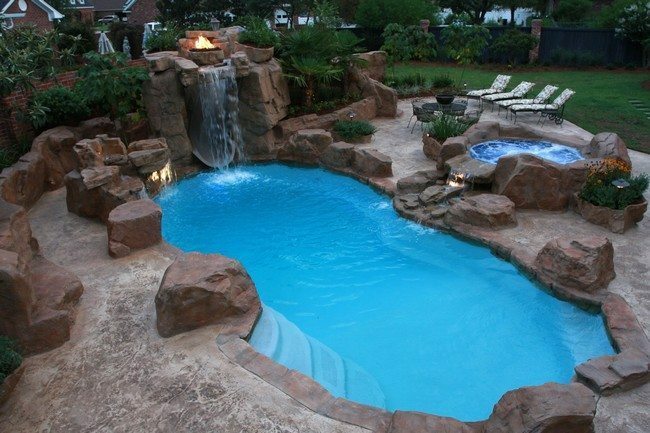 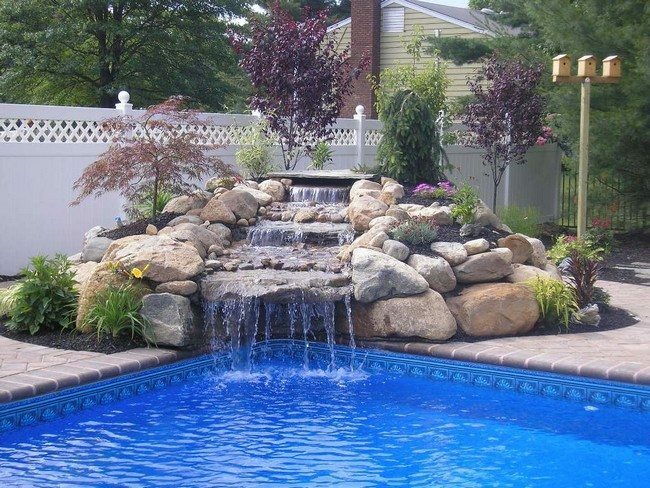 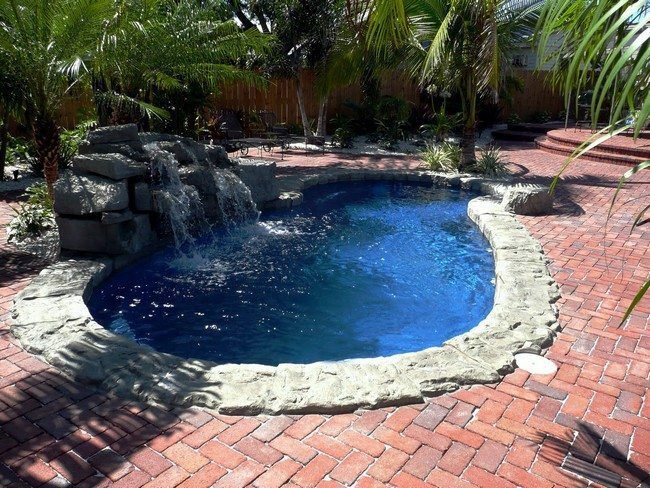 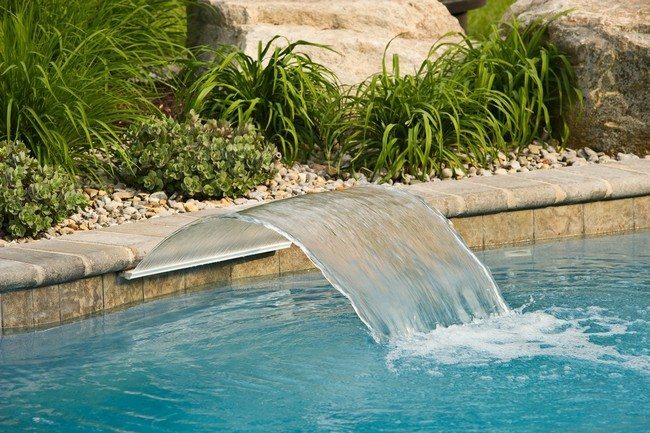 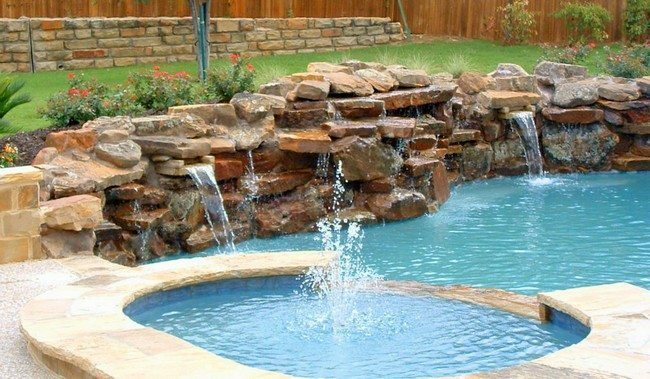 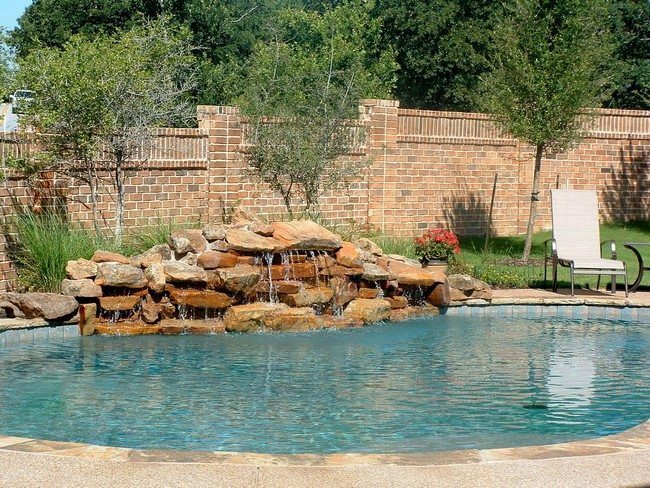 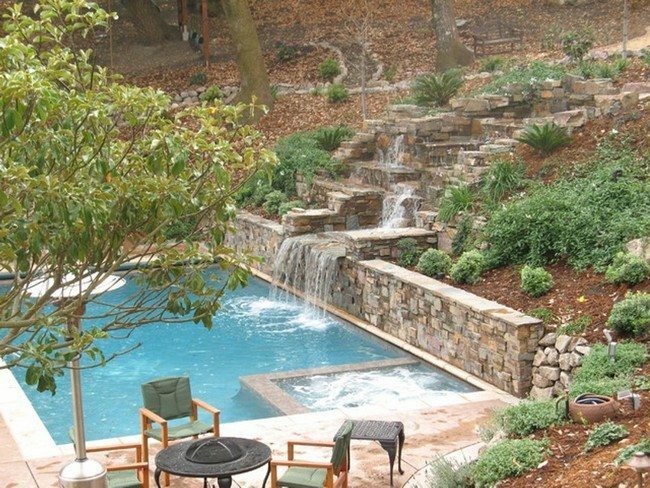 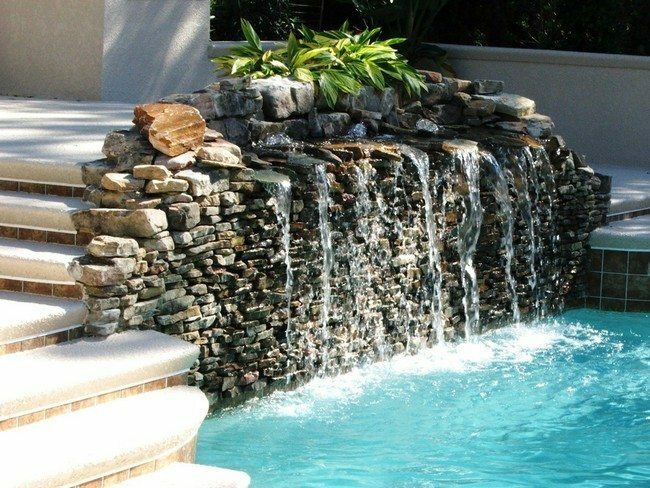 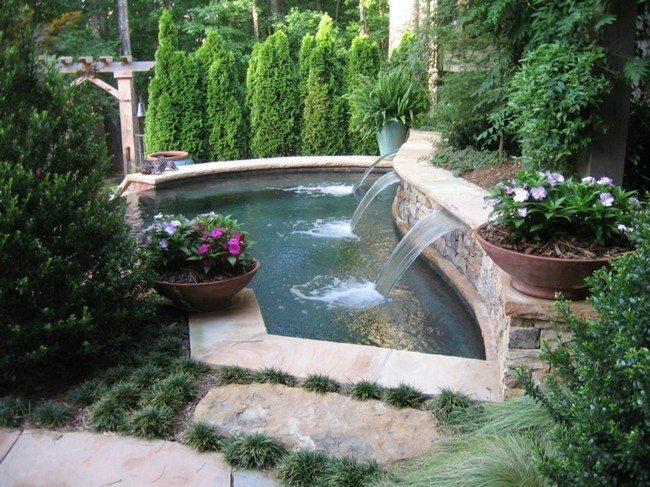 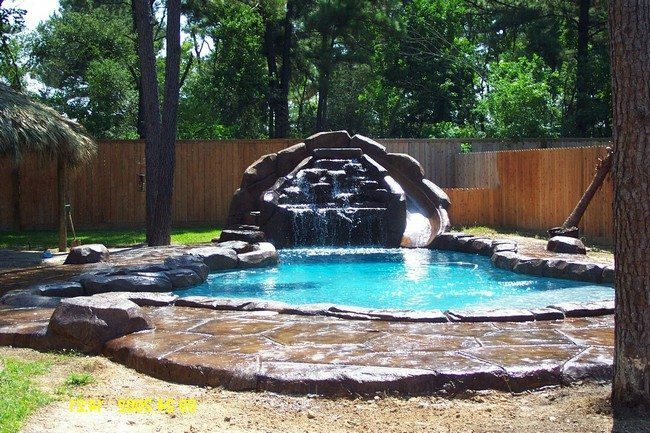 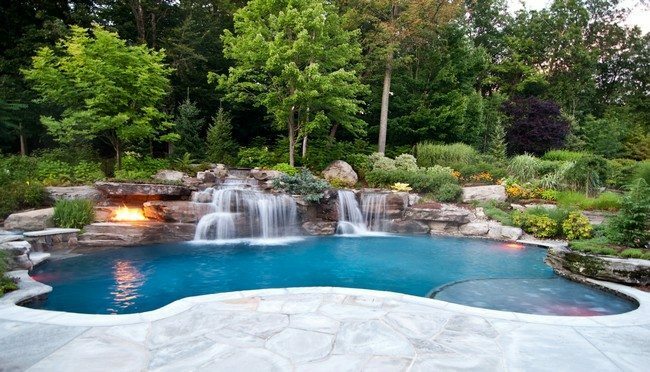 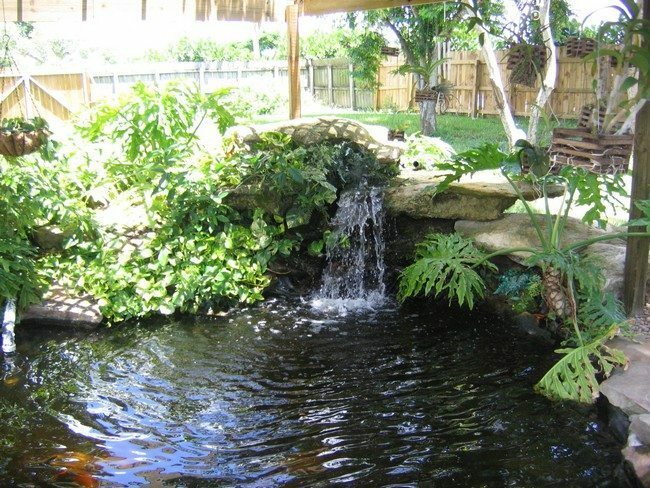 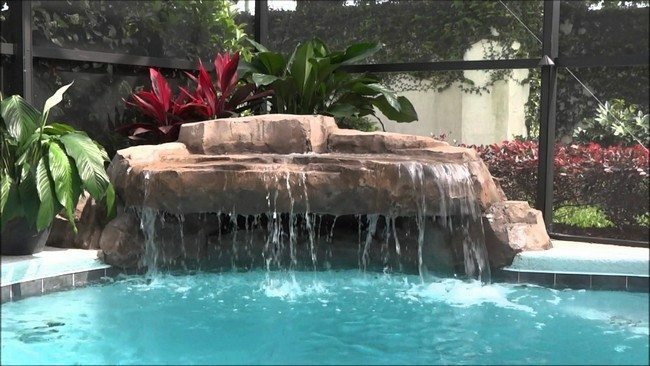 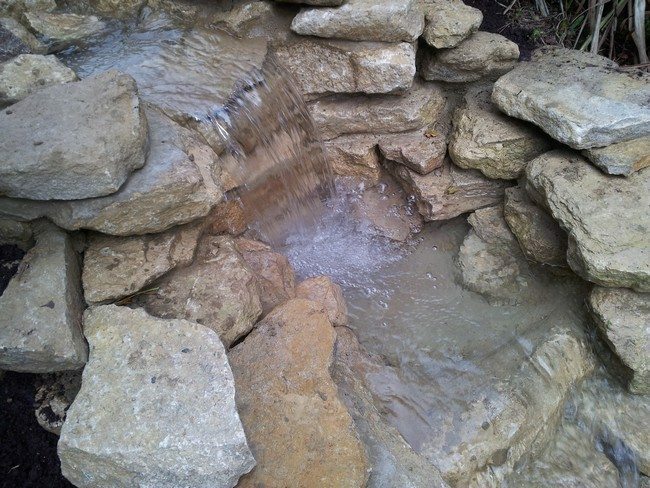 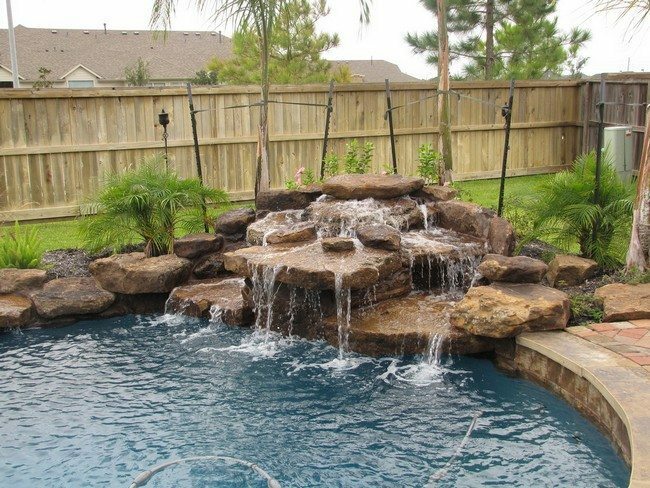 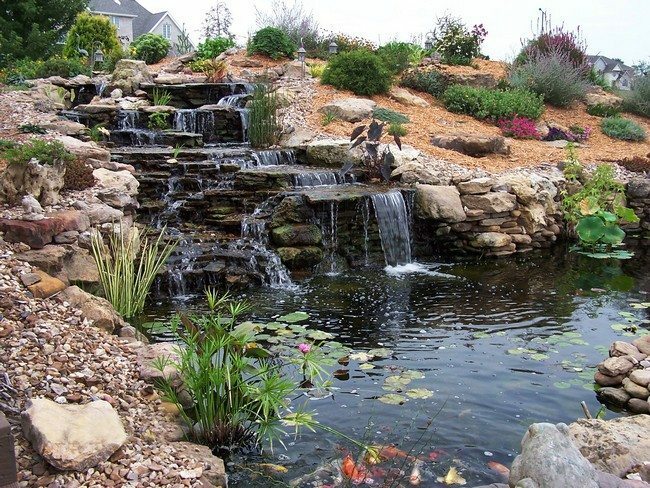 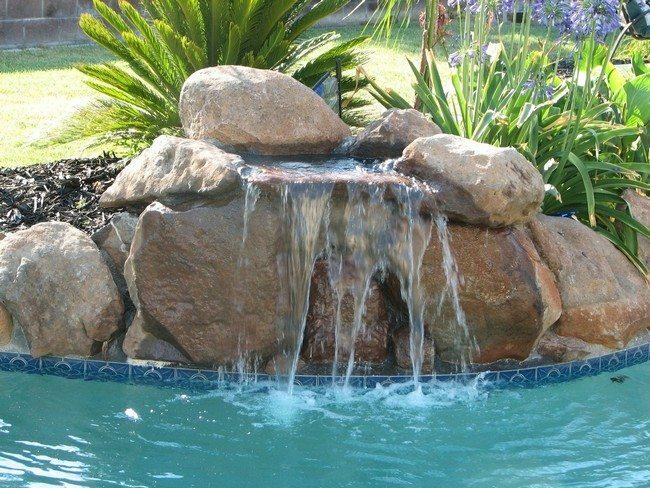 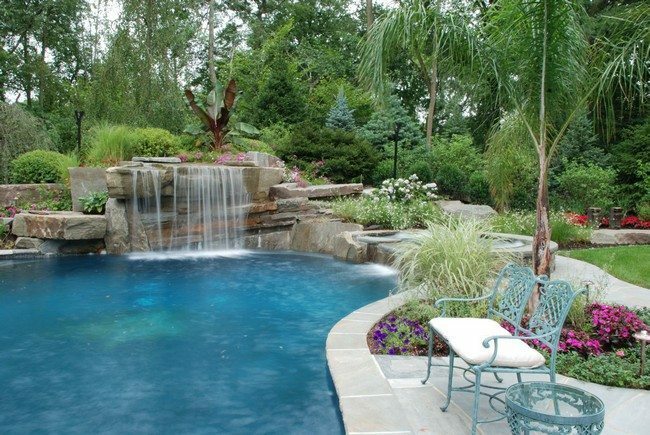 The landscaping is an important aspect when deciding how to design your pool waterfall and can determine the general outlook of your pool waterfall. 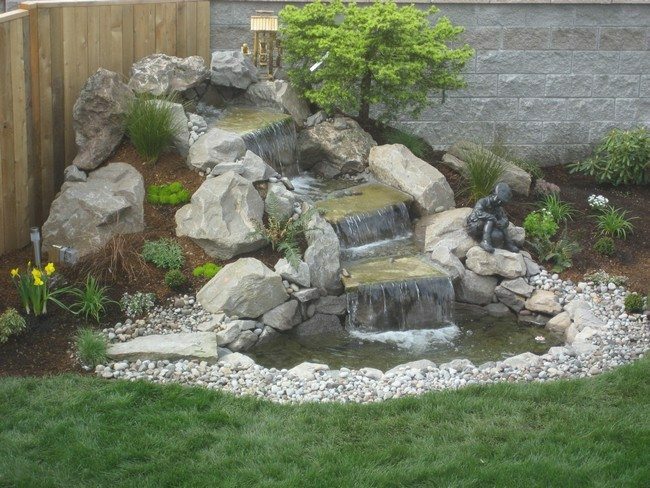 You can get more tips on landscaping by reading our article about landscaping . 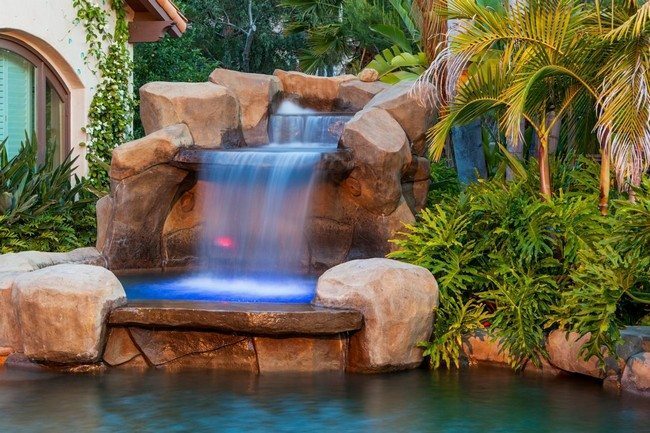 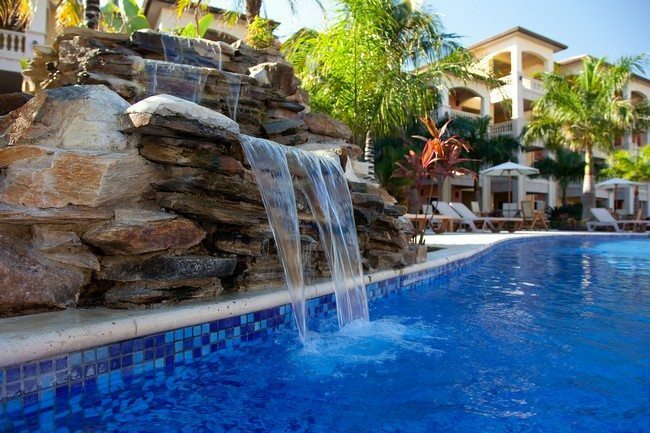 Combining our pool waterfall with fire features helps create a relaxing and hospitable environment perfect for outdoor relaxation. 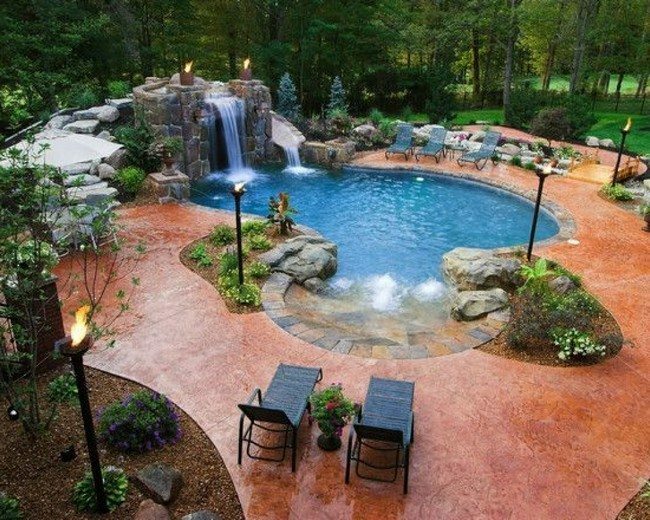 Learn more on how you can add fire features to your garden here .